A game for children 6-12 years old. An original creation, Right On! is a card game based on the traditional Seven Families game. 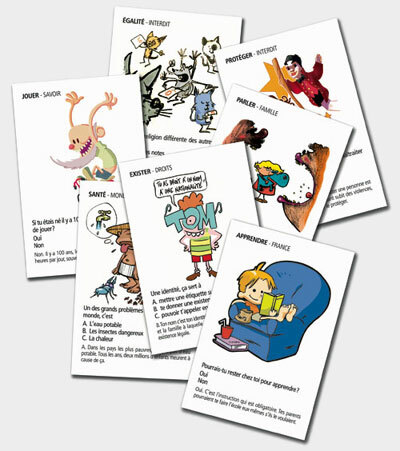 Each major right family includes seven illustratred cards with a question-answer side devised by children specialists. You can access the families through the left menu. Right On! may be personalized according to the amount of games ordered (see price list and order forms).